Vincent, a rescue dachshund, tips the scales at a whopping 38 pounds - double what he should weigh. Playing, running, even just walking around is tough for the little guy, whose belly hangs down on the ground ... but everything is about to change for Vincent. Vincent was brought to a Houston-area shelter after his former owner passed away, and now he's safely in the care of K-9 Angels Rescue. Melissa Anderson, his new foster mom, has some big plans to help the dog shed his extra pounds and get healthy. "Who wouldn't want to save this face," Anderson told local outlet KTRK. She thinks Vincent's former owner fed him fast food, leading him to gain so much weight that his back even dips in the middle. "He's got a lot of belly," she said. Vincent has a diet and a new workout plan though, which involves lots of hydrotherapy (a.k.a. getting into the pool with his foster mom). His rescuers posted on Facebook that he's already dropped some weight, and is well on his way to becoming "Skinny Vinnie." But Anderson explained that caring for an obese dog isn't easy - she was surprised at the judgement she's been getting from strangers when she takes Vincent out. "Some people can be kind of mean," she said. 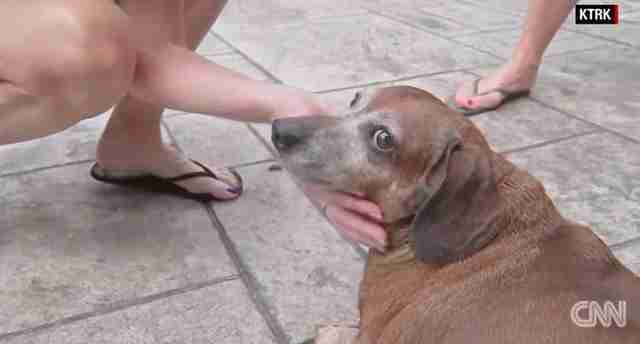 "They'll say things like 'that's abuse' ... and I'm like OK I'm trying to help this dog." 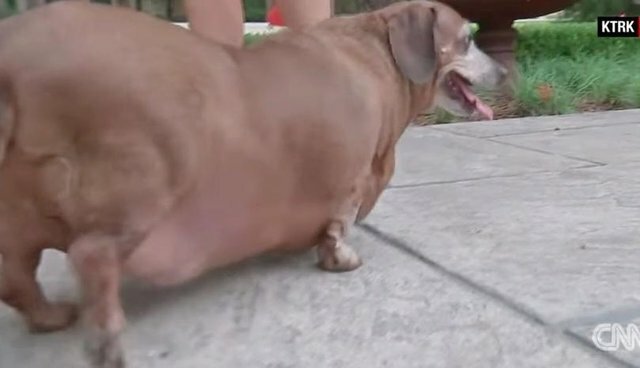 Vincent isn't the only dachshund who needs some help to get back to a healthy weight. 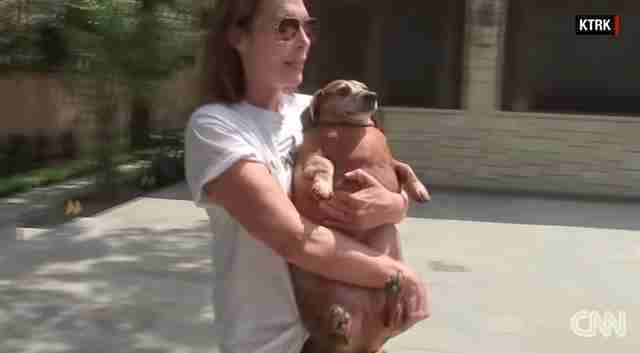 In March, a doxie named Dennis made headlines after his new mom helped him shed 44 pounds. K-9 Angels Rescue will be posting updates to Vincent's story on its Facebook page - hopefully soon there'll be a happy post that "Skinny Vinnie" has finally found his forever home.